We know everything happens for a reason. Yet it is nice to get validation once in a while. 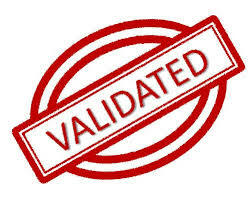 That is what happened to me the other day…validation! I’ve been working on editing my current writing project, my editor told me to add a few more personal experiences to it. Lately though I’ve hit a bit of a brick wall with this assignment! And I could not figure out why. I just knew that I had a terrible block! I let days pass without really digging in and doing the necessary work. 1 week passed and then another. Until the other day when I received a call from someone completely out of the blue. This particular person has always represented frustration in my life. Never does it go well with this person and this person always has an agenda as well as a very bitter and stinging tongue. I could not fathom why I was hearing from this person now; it had been a long time and there was no reason for it. Regardless of the why, I dealt with the situation ( and yes it was as unreasonable a situation as ever) and then after it was over it occurred to me this was the perfect example to add to my project. This person who has caused unbelievable turmoil in my life and the lives of my family had no grip on my life any longer! Due to my growth (spiritual growth…which is the subject of my editing project) this person no longer had any control! I would not allow it! So not only did I have validation for my spiritual progress but I had what I needed for my project! See this was the reason I had a mental block! I was waiting for this to unfold! There is always a reason for everything. And everyone serves a purpose! ← Think YOU CAN’T make a DIFFERENCE?! ?